Increase Sim Validity Mobile Balance – Hello Coolz Readers! Hope You Guys Are Enjoying Our Super Duper Daily Tricks & Offers. Today Morning We have Posted The Realme Loot , In Which You can Get Free Realme Phones & Ear Buds. Now Here i am posting a well demanded method. As You Already Knows That Airtel , IDEA , Vodafone Has Started Charging For Using SIM eg. You have To Recharge Of Minimum Of Rs.35 In order to Keep Using Your Sim Card. Or You Have To Recharge For Any Unlimited Plan to Increase Your Validity. Peoples Heavily Criticized This Step Taken By Telecom Companies as We have To Goes Through Lots Of Troubles For Keep Increasing Validity Every Month. Even There Was No Official Way Mentioned By This Telecom Operators To Recharge Using Our Main Mobile Balance. But Here is Small Hidden Methods We Have Discovered , where you can update your sim validity using your main balance. You don’t need to Do Special recharge worth Rs.35 to Update your Sim Validity. If you have sufficient balance then you can do it directly using your Mobile Sim Balance. Here we all know that terms has been changed from last month that if you want to continue your Sim Validity then you must have to Initiate a Recharge worth Rs.35 or worth Rs.24 depends on Carrier. Or you will not able to Receive incoming calls or to make outgoing calls. So here is the solution if you have a Main Balance. We all are looters and we all have bunch of Balance in our Sim. HaHa!!! So this is for you Guys!! Docomo Has Also Followed The Path Of Airtel & Idea. They Also Changed Their SIM Usage Terms. We Need To Recharge For Minimum Of Rs.23 (Depends Upon Circle) To Keep Using Your Docomo SIM card. Done !! This will Deduct Rs.23 from Main Balance and you will get 28 Days Validity. 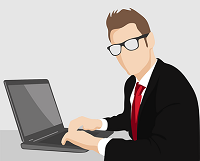 This Codes Are Working Fine At The Moment We Posted This Article , This Code May Or May Not Work In Your State. 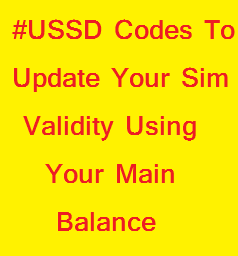 USSD Codes Are Always Region Specific & May Or May Not Work At All Places.